Posts can be very personal. This one is. 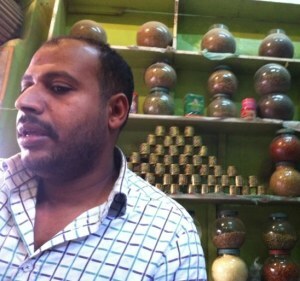 Visualizing the needs & concerns Egyptian small business owners, their families and their employees like this man. Photo by Julie Gomoll. I have a friend, Rasha, who is from Egypt and who has family there. My thoughts are with her and the wonderful people I met through the eyes, words, and pictures of another friend, Julie Gomoll.